Tell people you’re headed to Mexico and you’ll likely be warned to be careful, to reconsider, or even encouraged not to go at all. However, after living and working in Mexico for the past five months, I am happy to report that the country remains a warm, welcoming, and, with the exception of a few cartel hotspots, a safe place to visit. But don’t just take my word for it. Follow the lead of more than 600 travel professionals (myself included), representing some 50 countries, who gathered in San Cristobal de las Casas, a quaint colonial-era mountain town in the highlands of Chiapas, Mexico, for the industry’s most important annual event, the 2011 Adventure Travel World Summit*. In place of fear-inspiring headlines, greeting us in Chiapas and across the country, were hospitable locals, colorful colonial-era cities, culturally-rich indigenous communities, lush tropical rainforests, cloud-cloaked mountain ranges, deep river canyons, cattle-dotted ranch lands, and pristine coastal plains. For those ready to journey beyond the headlines and discover the real Mexico, here are eight hand-picked adventures from trusted adventure outfitters. photo by Nathan LaurellHidden in the heart of Mexico’s Sierra Madre Occidental lies Copper Canyon, a spectacular complex of nearly impenetrable chasms covering more than four times the area of the Grand Canyon (and much deeper). On this adventure you’ll explore this great wilderness on foot to meet the Tarahumara in their remote villages, enjoy spectacular vistas, see cascading waterfalls, and splash in cooling river pools (great bird-watching, too!). At night you’ll relax in comfortable accommodations, where you’ll dine beside a roaring fire, enjoy margaritas and spirited conversation, and view incredible nighttime skies unhindered by the lights of civilization. 7 days/from $2,595. Elizabeth Moreno / RED Sustainable TravelJoin Baja Expeditions and RED Sustainable Travel on a unique whale watching and turtle research excursion to Magdalena Bay. Get up close and personal with gray whales and learn about their annual migration all the way from Alaska. Your group will also have the unique opportunity to participate in hands-on sea turtle research with local conservationists. 8 days/from $1795 USD. Go beyond burritos and discover the influential cuisines of Mexico on this comfortable nine-day tour that provides an exciting mix of culture, cuisine and history. From Mexico City, journey to the valleys of Oaxaca to sample mole sauces and other local favourites. Enjoy a tour of a mezcal factory before sampling the good stuff in rustic cantinas. Savour the best that Veracruz has to offer and study cooking in Puebla. Eat, drink and learn your way around the heart of Mexico. 9 days/from $1399 USD. Fiber Arts of the Oaxacan Coast/ Traditions Mexico. photo by Eric Mindling/Traditions MexicoSome of the very best of Mexico’s indigenous weaving is found along remote reaches of the Oaxaca coast. Visit backstrap weavers, hand spinners and natural dyers, as well as a remote beach with one of the last traditional murex dyers on the planet. Travel to the world of the coastal Zapotec women who embroider and wear the floral blouses and dresses once so dear to Frida Kahlo. Splash in the Pacific’s inviting waters and linger over meals of fresh caught fish, lobster, and shrimp. 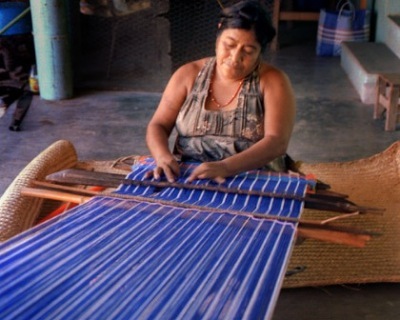 Learn how a group of Mixtec women is redefining their work to keep it vital. And this trip is held during Carnival week, so be prepared to cross paths with some celebratory mischievousness. 8 nights/$1795 USD. photo courtesy Enduro EquestreThis horseback vacation trails along quiet dirt tracks, historic hacienda bridleways, and steep mountain paths to the beaches of the Pacific Coast. Ride Arabians and thoroughbreds through a diverse landscape rich in natural beauty. Boat into mangrove lagoons to spot crocodiles, opsrey, and herons. Meet the people behind the landscapes, learn their stories, and toast the end of each incredible day with an ice-cold cerveza and a plate of sumptuous local cuisine before calling it a night in the comfort of gracious haciendas and eco-friendly beach palapas. 4 days/$950 USD. photo by Hank BaroneBy luxury yacht, kayak, motorized inflatable boat and on foot, encounter flora and fauna that are found nowhere else in the world. In this World Heritage biosphere reserve, experience pods of dolphins numbering in the thousands and view many whale species including the largest living being on earth — the blue whale. Enjoy exclusive cultural experiences including a visit to tiny Isla Coyote where fishermen and their families live in the only permanent settlement in the islands. 8 days/from $2995 USD. courtesy Journey MexicoThis trip is custom-designed to provide ten days of non-stop surfing in Mexico as well as luxury accommodations to ensure that your night’s are just as unbelievable as your days in the water. Mexico’s Pacific coast is riddled with the dream waves you used to doodle on your notebooks, and our expert guide who will accompany you on this trip knows exactly where to find them. This trip not only puts you in two incredible villas, both with great surf right out front, but also takes you on road trips and a private flight to some of the regions best kept secret spots. 10 days/Custom pricing. by Deklofenak/istockphoto.comPractice yoga amidst the sounds of a tropical forest. Begin the day with a steaming mug of organic coffee grown only a few steps outside your jungle cabin. Hike to hidden waterfalls. Kayak through the tallest mangrove swamps on the Pacific coast. Explore the Mayan ruins of Izapa, where you will find an ancient stone city built by the local settlers starting in 1200 BC. 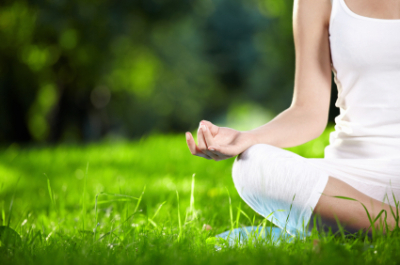 And gain the piece of mind that accompanies time spent engaging mind, body, and spirit in a tranquil setting. 6 days/Contact for pricing. Additional travel activities, destinations, and experiences within Mexico can be found at the official Mexico Tourism website, www.VisitMexico.com. *The Adventure Travel Trade Association (ATTA), is a global membership organization and home to a thriving community of more than 700 responsible, profitable businesses, destinations and media comitted to sustainability and justice worldwide. Learn more at www.adventuretravel.biz.